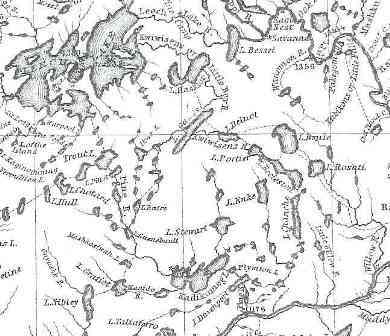 On August 11, 2012 the city of Outing, Minnesota will commemorate Frenchman Joseph Nicollet’s 1836 mapping expedition through Lakes Mitchel, Roosevelt, Thunder, Big Bass and on the Little Boy River into Leech Lake. The event will include reenactors representing historic characters including Francois Brunia, who was an interpreter for Nicollet. Brunia’s party will arrive in handmade birch bark canoes. Archaeologists from the Minnesota Historical Society and the MnDNR will be there to answer questions along with flintknappers making stone tools and skilled Ojibwe artisans and crafters will join in to demonstrate native beading, quill work, birch bark arts and crafts, moccasin making (then and now), pottery construction, and birch bark canoe construction. Food and beverages will be available as well. Last year’s Commemoration event was covered in the Brainerd Dispatch. For more information about this years event follow this link.